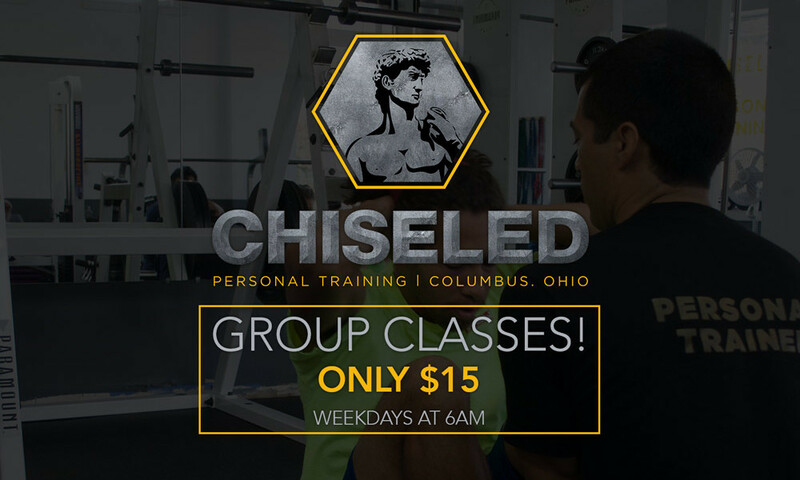 We asked our local Short North, Italian Village and Columbus customers for some feedback, and the results are in… Chiseled Gym is now offering GROUP TRAINING CLASSES every weekday! Switch up your workout routine and move farther on your path to getting Chiseled with our always changing, perfectly challenging group fitness classes for the LOW price of $15 per person. For a limited time, we will be allowing you to bring a friend along with you 100% FREE! For just $15 you can start your day STRONG with a calorie burning, strength building workout with a friend.